We’ve been looking since August for the right used AWD unibody SUV or CUV. Drove a lot, but settled on a first generation SRX (CTS based). Liked the style of a second generation CTS Wagon shooting brake, but the swoopy roofline offers less practical load volume than the original SRX. Black Cherry color is hard to photograph. It has deep red metallic flakes but looks black in the right light. Black cherry is a good description as to the eye it looks like a very rich Bing cherry. For some reason it often photographs with a hint of purple, but it never looks that way when viewing in person. Love it so far. Especially like the spacious airy interior. It has a huge glass sunroof. The ride and handling is great. It has the 3.6 V6 which is smooth linked to a 5-speed auto with a manual shift feature. Very comfortable as both rows of seating are chair height. The tall roof allows plenty of headroom even with the sunroof. I’d describe the second row as stadium seating as the seat platform is slightly higher than the front seats. Many SUVs leave you sitting on your tail. 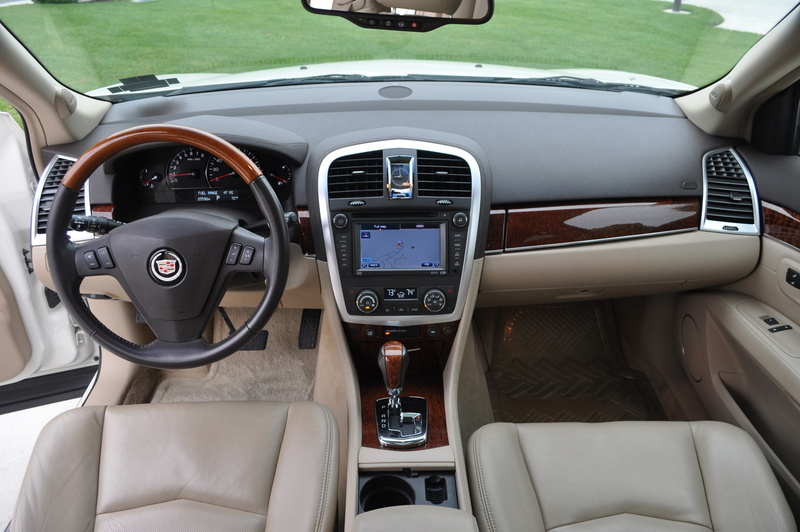 The SRX is luxury car comfortable in both rows. This topic was modified 4 years, 3 months ago by basiliskst. Congrats! I’m a bigger fan of the first SRX than I am the current gen. Critically, the wife likes it too. She imposed the AWD requirement for Iowa/Minnesota winters and the hatchback requirement for the Brittany Spaniel’s travel kennel. It’s my first GM product in about 20 years. Cadillac dealer was great. So far very pleased.